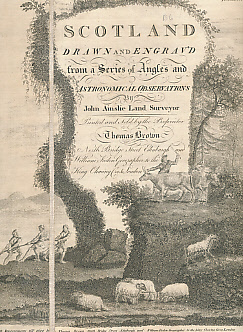 Barter Books : Ainslie, John : Scotland Drawn and Engrav'd from a Series of Angles and Astronomical Observations. Published According to Act of Parliament with Improvements till 1800. The large folding map comprises 9 separate linen backed hand coloured sheets, each sheet measuring 642mm x 579mm. Morocco case with flap worn. Maps G with some light scattered browning, mainly on linen backing.